A landlord seeking to terminate a 1954 Act protected tenancy in reliance on ground (f), "the redevelopment ground", will only be able to do so if he would go ahead with the same works even if the tenant left voluntarily. This is the new "acid test" outlined in the Supreme Court's eagerly awaited decision in the case of S Franses Ltd v The Cavendish Hotel (London) Limited. The case concerned a landlord who had devised a scheme of works with the sole purpose of establishing ground (f), and obtaining vacant possession of the premises in question from the tenant. The works had no commercial or practical utility. The landlord had admitted that the works would not be carried out if the tenant walked away voluntarily. To prove ground (f), a landlord must show that he has a "firm and settled intention" to carry out a scheme of works. The works themselves must also be sufficiently substantial. Prior to today's decision, the understood position was that a landlord's motive in wishing to carry out those works is irrelevant, provided that the landlord genuinely intends to carry them out. This position was re-affirmed in today's judgment. It was accepted by the Supreme Court that a landlord's purpose or motive is irrelevant, save as material for testing whether a firm and settled intention exists. However, giving its judgment in favour of the tenant, the Supreme Court clarified that the Landlord and Tenant Act 1954 requires the landlord's intention to carry out the works to exist independently of the tenant's statutory claim to a new tenancy. If the landlord intends to do the works only if the tenant persists with a claim for a new tenancy, the landlord will not have the "firm and settled intention" required. So, a landlord's purpose or motivation for carrying out the scheme remains irrelevant in itself, but it will be investigated at trial as evidence, or otherwise, for the genuineness of the landlord's professed intention. The judgment may lead to tenants scrutinising their landlord's motivation more thoroughly, in the hope that this may uncover a conditionality to their intention. The facts in S Franses Ltd v The Cavendish Hotel (London) Limited were stark and unusual. The question now is how this case will be applied to cases with more complicated facts - perhaps where the landlord would carry out only some of the proposed works if the tenant were to walk away voluntarily. The judgment given today suggests, in that scenario, that the case would be decided only by reference to the balance of the works which the landlord will do in any event. 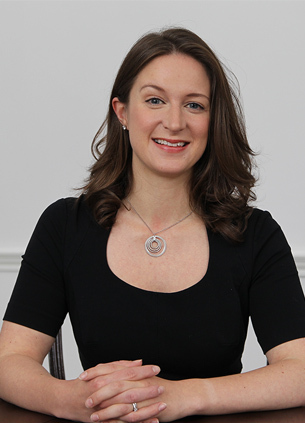 Charlotte is a senior associate in our Property Litigation team.